I realize we have hit sweater weather, yes, even in Los Angeles. However, I couldn't have left out such an amazing trip from this year. 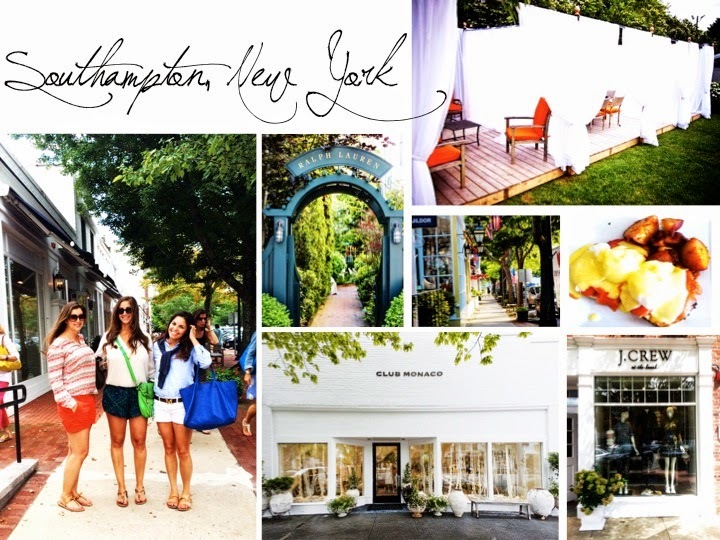 After spending a few days in New York City this summer (one of those days being my 25th birthday) my friends and I traveled a few hours out to an east coast oasis, causally known as, The Hamptons. It's a wonderful summer spot, a classic strip of East Coast communities. If I could live anywhere between the months of June and August, it would be certainly be here! 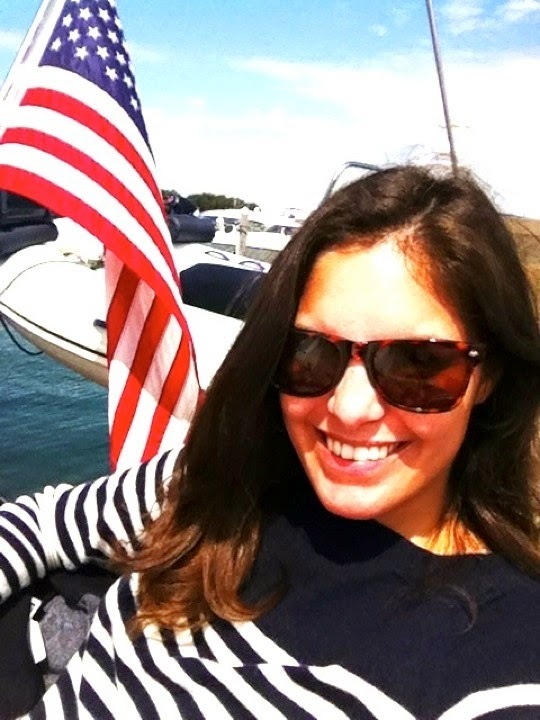 We were fortunate enough to stay on my friend's family boat, which was conveniently docked at The Montauk Yacht Club; I couldn't have dreamed of a better setup! The weather was nice but not nearly as warm as I expected, which was kind of a refreshing change for August in LA/NYC. 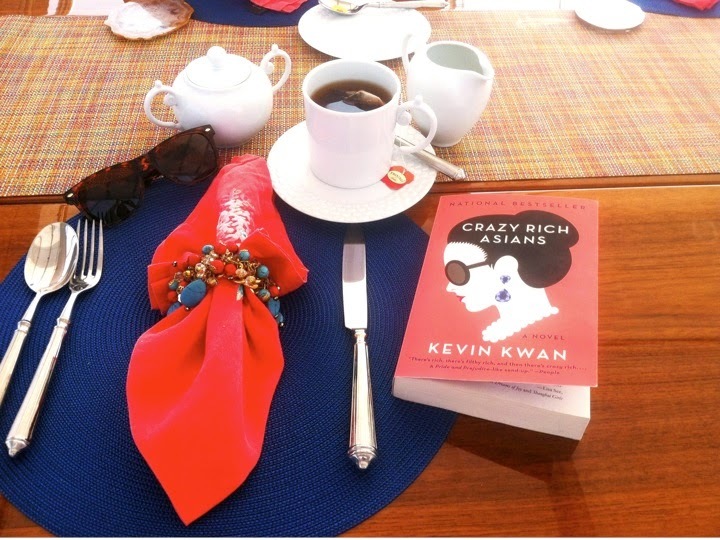 We got just enough sun for a day on the deck and fortunately I had such an engaging beach read (Crazy Rich Asians, pictured below and on my book list) I found quite hard to put down! 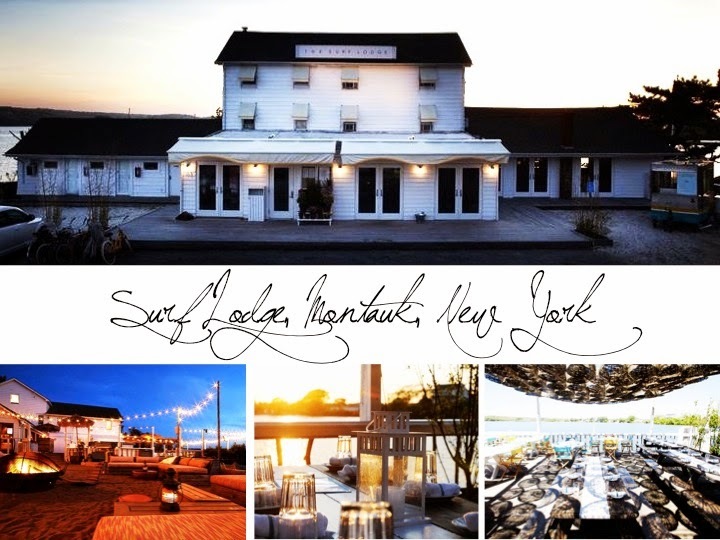 After relaxing in the sun the first day, we headed out to town to explore some of the best spots in Montauk. Of course seeing a prime sunset was at the very top of my list and easy to spot down the road at my favorite Montauk spot, Navy Beach! Navy Beach was hands down my favorite! If we had enough time I would have certainly gone back for a beach day. The picnic table and daybed set-up was so ideal for any group of people wanting to relax and enjoy the small beach area. At the very least I wish I could have gone back for just a brunch and another beautiful sunset. It was absolutely breathtaking at night and worth posting up at with a group of friends for a cocktail! 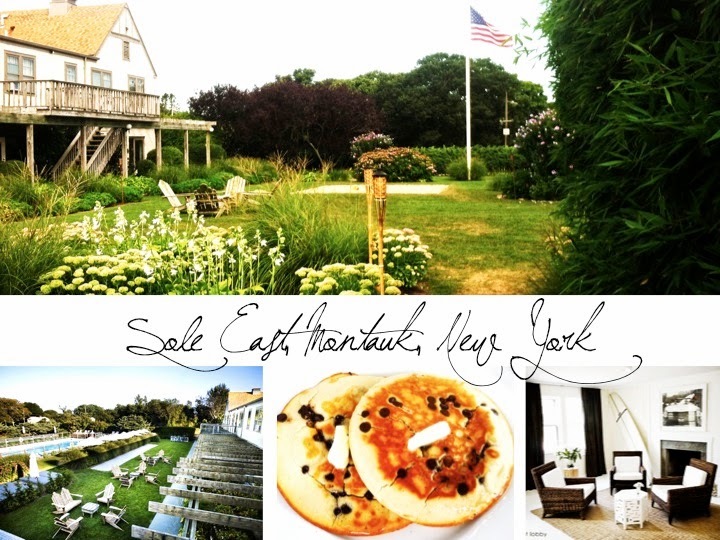 Although we were staying in Montauk, also known as "the end of the world" to Hampton locals, we went out to explore Southampton, Bridgehampton, and East Hampton. I found Southampton to be quite the charming town, with a cool and unobtrusively elegant feel. The perfect beach town for a city gal like myself! 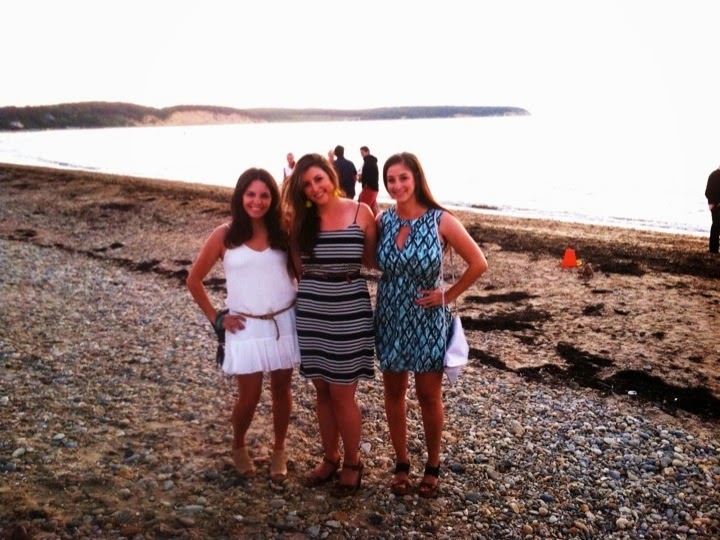 Even the J.Crew had a little "at the beach" tagline and inside Club Monaco was a never ending summer white party. Although we didn't end up making it to Southampton Social Club, I couldn't resist adding the garden cabana into this collage! Now that's a table worth buying. Dining at 75 Main is a must, despite its' "scene-y" reputation, I found it to be a super laid back lunch/brunch spot with a delicious salmon benedict (above)! 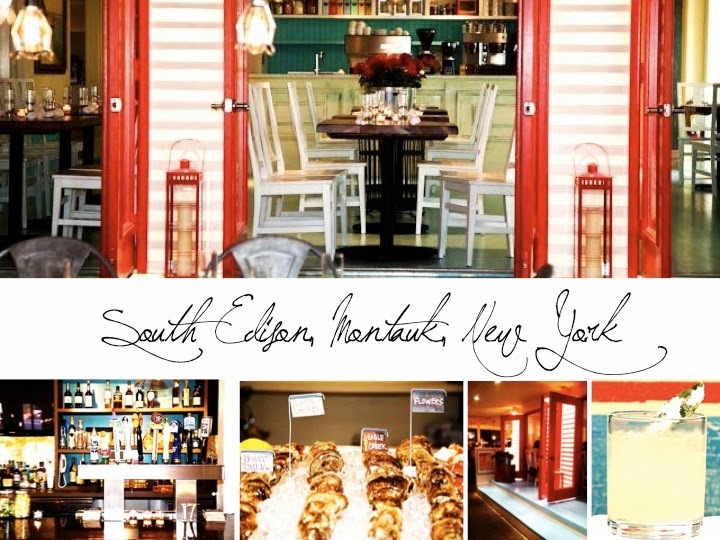 Speaking of deliciousness, South Edison in Montauk turned out to be my favorite restaurant, hands down! The food was fresh, the atmosphere was lively, the decor like a summer house porch and all within walking distance of the most fun dive bar, The Sloppy Tuna! If you live in LA and love the Bungalow Santa Monica, like myself, then Surf Lodge will knock your socks off! I would call it the East coast equivalent but that would an understatement because The Surf Lodge is the ABSOLUTE, summer party spot! Just like a beachfront house party that never ends, with a continuous flow of surfer boys just hoping off there boards and walking up for a beer. It's a restaurant and hotel too, making the space very versatile. I just love places where you can have dinner and then stay after for drinks. I am all about convenience since turning 25! 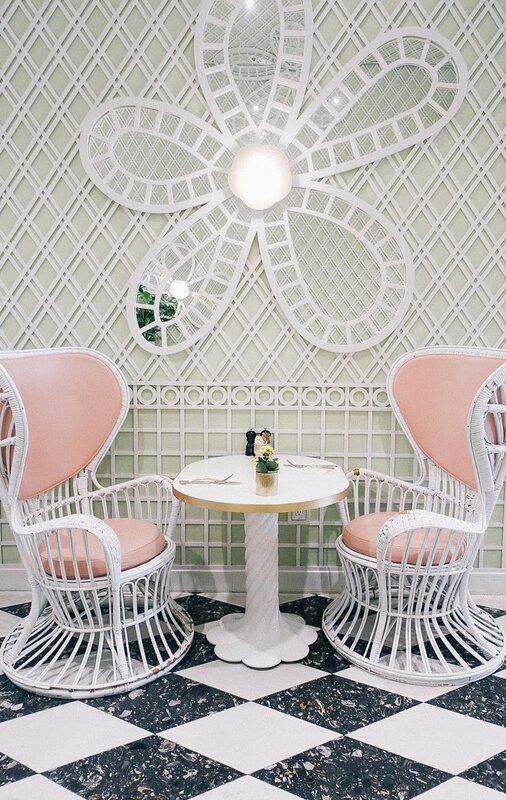 We came to Sole East for Sunday brunch at their appropriately titled restaurant Backyard. Those chocolate chip pancakes were even more delicious then they look (above)! Not as good as my mother's, but the place was super charming and 100% in the spirit if the Hamptons. It's a hotel that looks like a Hampton's summer home, with a beautiful pool surrounded by green grass and literally the most relaxing vacation vibe. I would highly recommend staying there during the summer! 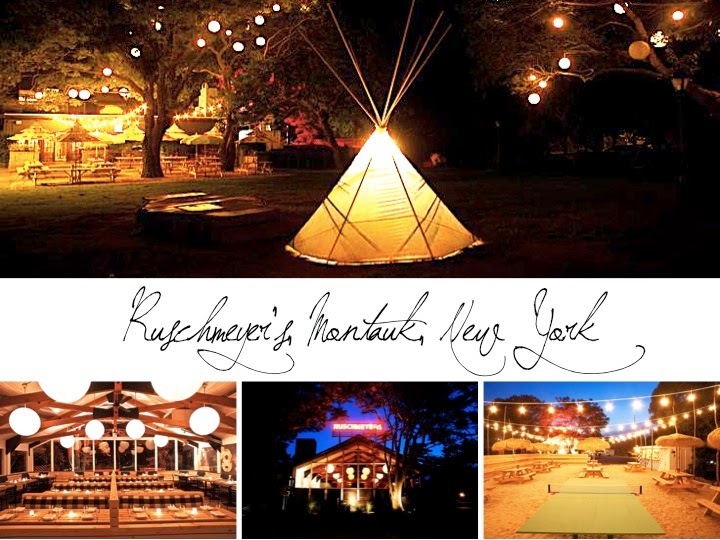 Despite our attempts to see Lindsey Lohan at East Hampton's version of One Oak, we ended up staying closer to home and closer to the summer camp feel of Ruschmeyer's! It was super crowded and I understood why! We have all year round to stand in a packed air-less bar, especially for those of us living in cold cities, and it's a luxury to socialize outside! The ground was sandy in one bar area, the inside restaurant lumber wood paneled and the backyard with picnic tables, paper lanterns in trees and a vast grass yard. Summer camp all over again, with spirits of course! 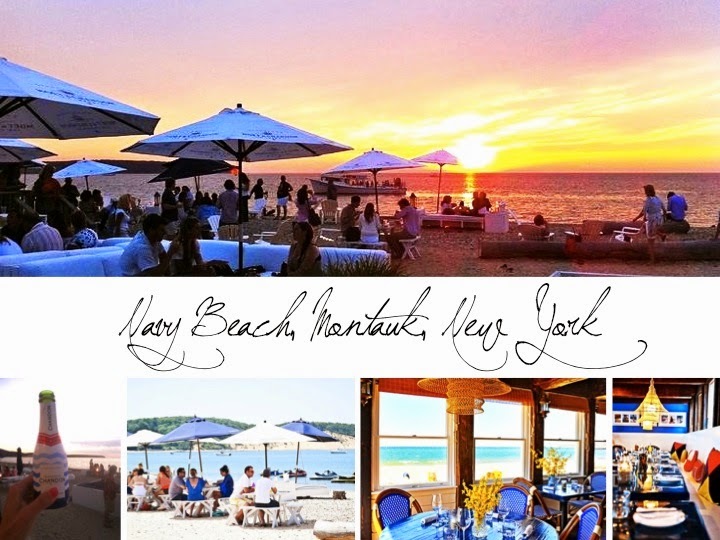 Ice cream cones, navy + white, boat docks, bikes with baskets, fresh oysters, green grass, surfer boys, windy sails, champs, white shorts, white dresses, white jeans, brown shingled houses, beach hair, sandy feet, blue pools, sunsets, lemonade, tan lines, high waves, lobster rolls, crisp rosé, oxfords and anchors.